It’s hard not to crave a new handbag every season, but finding the right one is a surprisingly personal and often difficult task. There’s much to consider: your bag should fit your lifestyle, your sense of style, and of course, there’s budget to consider. From totes to clutches, consider this your education for when you inevitably embark on a hunt for the perfect bag for you. The most ladylike of all bags, it’s is also quite versatile, given the different carrying options. It’s a great choice for the girl who doesn’t have time to change her bag often, as it seamlessly transitions from day to night and work week to weekend. We love the minimalistic hardware on this versatile satchel. You’ll be surprised how many hues you can pair with this sleek bag. The color combination on this mod bag will never go out of style. If you only need a few essential items to get you through your day, we applaud your resourcefulness and recommend a clutch. Bonus: your aching shoulders will thank you. The bold color plus subtle star pattern on this roomy clutch equals instant favorite status. We’re suckers for anything trimmed in rose gold. This sturdy clutch is perfection. This neutral leopard-print clutch will be your go-to for summer and beyond. If you’re the type of girl who has tons of stuff to tote around, but doesn’t want anyone to know it, this bag is for you. The bucket bag is the most deceptively roomy of the bunch. Even better: this trendy style is going to be around for a while, so don’t be afraid to take the plunge! You’ll wear this bucket bag all year long. The snakeskin panel is an inspired touch that takes this bag to obsession-level status. There’s no such thing as too much rose gold. The tassel detail on this luxe bucket bag is a lovely touch. If keeping your hands free and your belongings secure is important to you, you’re probably a cross-body bag girl. Perfect if you’re on the go, this handbag style can go from day to night, depending on the size. You can’t beat a buttery bag in the perfect shade of pink. The dainty gold chain puts this cross-body in a league of its own. This is the perfect day-to-night bag. The fringe is on-trend, yet subtle. We love the edgy studs on this boxy blue bag. Unless you’ve been living under a rock, you know that backpacks are BIG right now. Case in point: the Olsens designed and carry a version. A luxe leather style will keep the look from venturing into schoolgirl territory. This is the perfectly sized, wear-with-everything backpack. The price on this uniquely shaped backpack is unbeatable, and it’s a great option if you’re looking for a smaller take on the backpack. Colorful tassels scream summer on this weekend-ready backpack. The tote is the best option if you like to throw everything thing in your bag and go. This style is also ideal for traveling, as it will fit your electronics, magazines, cardigan—you name it! Tip: if you prefer a day-to-night bag, a tote bag might not be the best choice, but we think everyone needs one in their collection for work and travel. This tote has won our hearts, thanks to the coolest color combination and sporty graphic stripes. You can’t beat a timeless tote that has major investment appeal. The lattice trim is adorable and sophisticated—win, win! The painterly print on this designer tote is gorgeous and the coated canvas material is a nice change of pace—you won’t have to fret if you get caught in a summer shower. 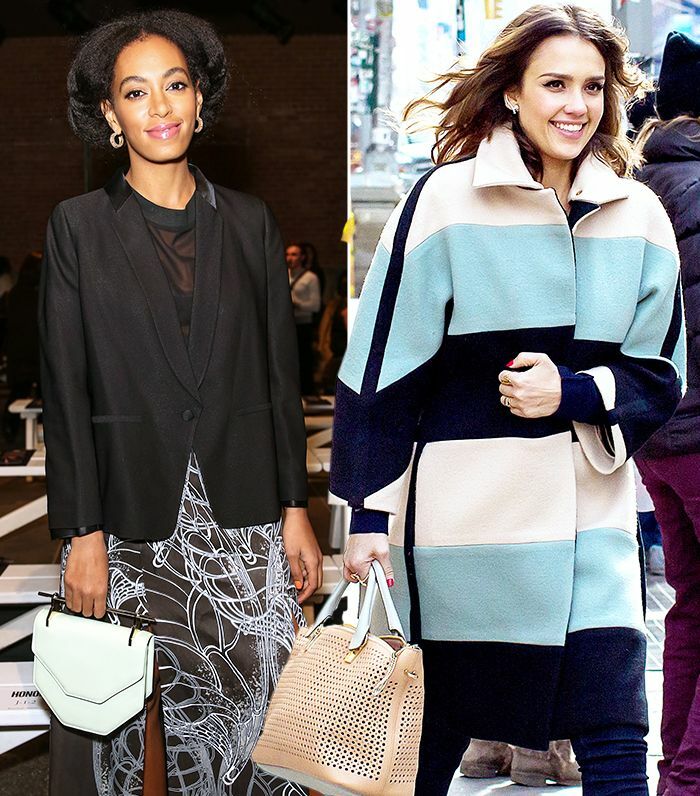 Which handbag style is your favorite? Sound-off in the comments!